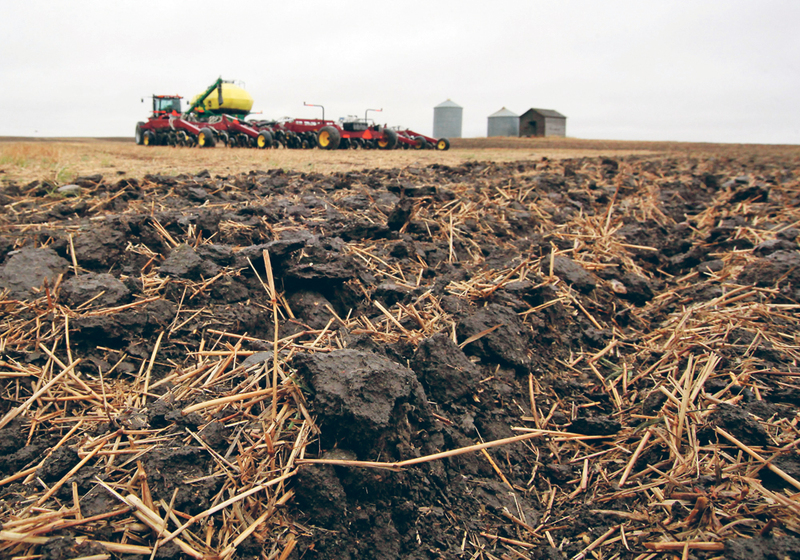 A senior agronomist for Koch Fertilizer said changes made five years ago eliminated performance testing requirements for fertilizer products, leaving farmers without access to information about the efficacy of new or existing fertilizer products. “Our Fertilizers Act had big changes on April 1, 2013, but just because it was April Fool’s Day doesn’t mean it’s a joke. It’s no joke,” said Rigas Karamanos of Koch Fertilizer Canada. “That opened the door for people with new fertilizer products to make any claims they wanted to make. They no longer needed trials or proof after April Fool’s Day, 2013,” Karamanos said. During his 40-year career as an agronomist, Karamanos has made thousands of presentations to farmers and industry, driving home the point that anecdotes and happy stories prove nothing. Replicated data is the only way of making an intelligent decision about what fertilizer product to buy and how to use it. Without standardized, replicated performance evaluation, producers who want numbers on the efficacy of fertilizer products must do their own plot and in-field trials. In most areas, the dealer also runs trials. There is one benefit of the rule changes: results are more localized and specific to predominant soil and weather conditions. Eliminating performance testing as a registration requisite made it easier for companies to bring supplemental and specialty products to market. It eliminated the backlog of products waiting for registration approval. The biggest downside was a tidal wave of untested products that left growers swimming in an information void. Without third-party performance trials, it became more difficult to determine the difference between snake oil and valid products. Karamanos said biological agents and soil supplements do go through rigorous tests, but only for safety reasons. A biological from one part of the world can harm or kill indigenous bacteria and rhizomes found in Canadian soils. He said biologicals go through their own testing and registration process to ensure no harm is done to native bugs. He plans to test an American-sourced plant growth bacteria in 2019. He said he’s skeptical of additives for soil mainly because of the abundance of microbial bodies that already exist in Canadian soils. Karamanos said it’s understandable that farmers caught in a financial squeeze are desperate for anything that will help them reduce inputs and eek out a profit. He said it forces farmers to look at alternative untested, unverified products. “You have to be careful buying anything that’s not tested. If it’s a biological product applied to the leaves of the plant, there’s a chance it will work. But in my experience with biological agents applied to the soil, you may have some positive result or you may have some negative result. It’s random events happening in the soil. “Some of these products are developed in places like California where they have 0.8 percent organic matter and no biological activity in the soil. If you add biologicals to that soil, they should do something. Bring that same biological agent to the Prairies and it’s an entirely different environment. Karamanos was at the Canadian Fertilizer Products Forum in Ottawa back in October, where participants were asked what the industry would like to see. Nobody wants to be remembered as the guy who lost the family farm, said Ross McKenzie, retired Alberta Agriculture research agronomist. As a result, some farmers feel pressured into buying alternative fertilizer products in a desperate attempt to cut costs and maintain profits. “I understand their frustration. The problem they face is there’s no longer anything in the Fertilizers Act that prevents people from making false claims. I’ve read the claims some of these people are making and they don’t hold water. McKenzie said if dollars are tight, the last thing producers should waste is input cash or credit on products that will help their returns. “People come from the States or Europe or Australia promoting fertilizers that are untried and unproven in Canadian prairie conditions. They have no scientific basis for what they’re saying. In my opinion, it’s foolhardy when people listen to them and get suckered into buying these things. All they have is testimonials. No performance data.